It is Marine Corps tradition that today we will attend a birthday celebration, witness the reading of Gen Lejune's birthday message and the message from the current commandant. Additionally, there will be a cake cutting ceremony and the honoring of the oldest and the youngest Marines present. This tradition will be taking place around the world in literally ever climb and place. It will even happen in fighting holes with a canteen of coffee and an MRE cookie. 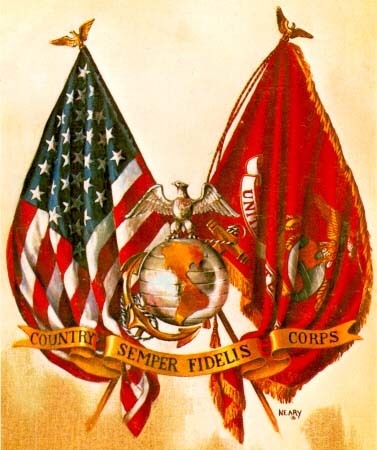 I am honored to share this 236th birthday with my fellow Marines and tonight I will be attending our local birthday ball celebration. For my brothers and sisters around the world. I know that you are the ones we are celebrating. When we are dancing, eating and drinking it will be your names on our lips. Those of you that have to put down the cup and pick of rifle. Just know that as you spend your birthday standing a post or walking a patrol we are there with you in spirit. We celebrate what you are doing and the legacy that you leave for future Marines to emulate. Keep the Morale high and stay alert, this is your day and you are being celebrated. I would like nothing more than to set down my pen and take your watch, It would do me no greater pleasure than to be able to shoulder the load with you my brothers. For the all the Marines that have fought for the principals that make this country free, and moved on to bigger and better things. Remember that you too are celebrated. You paved the way and we will maintain that route and keep it clean. Wear your head high tonight, wherever you may find yourself. If any one ever asks you if you were a Marine, tell them no I WAS a civilian, that guy is dead now, I AM a US Marine. I would say that for a group of drunks, pirates and patriots, we have done all right for ourselves.